It's really been that HOT up here in WNY! Where is the coolest place your dog has found to gain comfort from the heat? Here is Zero's! When I was first introduced to CampusBookRentals.com I sat here for quite a few minutes going hmmmm where was this service when I was in college? I used to spend big bucks on college textbooks and after the semester was over at least half of them were not eligible for any buy back program because a new version was coming out! I can tell you I have a huge two foot long by 2 foot high box just packed full of my old college textbooks! Yes, I even carted those books from the old house to the new house last year. Sentimental value or maybe I felt a need to stay attached to them seeing I paid a good buck to get them. All to further my education, but also at the expense of my wallet. What if I said this wallet saving service meant renting your textbooks? Rent them, yes I did say rent! Well why not? You can rent everything from a dress to jewelry to a car and a home, why not textbooks too? CampusBookRentals.com is a service that allows you to rent textbooks for a fraction of the cost compared to buying your books at the college bookstore or online retailer. To give an example of the savings they offer college students on rental vs buy I did a little investigating. I'm considering going back to college to finish my Masters Degree and/or Certification in Computer Forensics. The one book that is required for the one class in the Computer Forensics curriculum is Digital Evidence and Computer Crime: Forensic Science, Computers & the Internet Third Edition which is currently available to purchase for $70 or I could easily just rent the same book/edition from CampusBookRentals at the cost of $19.36. This is a 72% savings! Check out here and see the savings difference! When you rent your textbooks from CampusBookRentals.com you aren't only saving money, but you are also supporting Operation Smile. Operation Smile is an organization that provides life changing cleft lip surgeries to underpriviledged children in need. CampusBookRentals.com has pledged to donate part of the proceeds from every textbook rental to Operation Smile in order to cover the cost of 1,000 surgeries. To learn more about the good Operation Smile does and how you can help check out their website here. Don't let going to college break the bank! It's expensive enough to begin with. Rent your books from CampusBookRentals and support a great organization at the same time. Keep Summer alive with the American Family summer drinks FREE eBook! Simply register on American Family and you can download your free drink eBook! If your children are back to school or are getting ready to go back to school now is a good time to stock up on those lunch box snacks! Mott´s Fruit Flavored Snacks are made with real fruit & vegetable juice* and natural colors+ and flavors and available with year round Double Box Tops! To help you add Mott´s Fruit Flavored Snacks to your kids´ snacking routine. Download and Print your coupon below! Here we are, back to school time. What is one of the biggest concerns facing parents and students during this time of year? How to protect their those expensive gadgets and valuables from being stolen. Statistical fact: There is a laptop stolen every 53 seconds! That number is astronomical! Not only are laptops stolen but keys, credit cards, MP3 players, smart phones, digital cameras, and the list could go on and on. 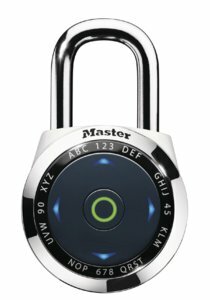 Master Lock has once again stepped up to the plate and introduced a new product that will help you and/or your child(ren) keep all those little expensive and ever so important gadgets and valuables protected, locked up, and secure with their SpaceSafe™ Portable Safe. The SpaceSafe™ Portable Safe is a light weight, water tight, durable portable safe made of shock absorbing material that you can put your valuables into for safe keeping. You can set your own combination, which also is concealed by a rubber flap, listen to your music or even charge a device with the ever so clever access port, and even carry it around like a purse or secure it to something with its integrated cable strap. I have had quite a few of you ask me if I ever see sweeps, contests, or blog giveaways for Microsoft Office for Windows or Mac. Especially with Back to School right upon us, a lot of schools are requiring students to have this program on their computers. I know when I attended college it was mandatory we had a version of Office for our college work. A fellow blogger, Shoppin' Queen, (or as most of you should know as @geekbabe on twitter)is giving away two copies of Office for Windows or Office for Mac on her blog. Join FabKids & Get Your First 3 Piece Outfit For Just $25! FabKids just launched on August 2nd, 2012 and is led by ShopStyle founder and father of two Andy Moss, in partnership with Mom and actress Christina Applegate, who serves as Creative Partner. FabKids is a monthly outfit club for stylish girls sizes 2-8. Each month, members receive outfit selections personalized just for their girls. Every outfit includes 3 pieces and costs just $49.95. All outfits ship free and are backed by their FabKids 100% satisfaction guarantee. To celebrate the launch of FabKids they are offering all new members the chance to buy a complete FabKids outfit for just $25! That means you get a perfectly styled 3-piece outfit -- that normally retails for $49.95 -- for nearly half off! Just enter the code “FIRST25” at check-out. Their inaugural Back-to-School collection offers over 100 ready-to-play outfits that are available for sale exclusively on FabKids.com. Get a FREE Photo Calendar! Perfect for back to school! Customize with icons, text, photos and themed designs for a unique calendar. Add up to 13 of your favorite photos for FREE and receive in as few as 3 days! The product is FREE, just pay shipping and processing! Summer is coming to a close with a new and exciting school year just around the corner. But don't worry! You can prepare for the busy months ahead while keeping those summer memories alive with Vistaprint's photo calendars. Back to school shopping is already upon us and for some kids have already gone back to school. How do parents stay within their budget when it comes to buying supplies, clothing, and shoes for this time of year? It can be a difficult task to do and sometimes can run way over budget. It is not impossible to stick within your back to school budget and Famous Footwear is making sure that you get more bang for your buck when purchasing your child's back to school shoe needs. Currently Famous Footwear is running a Buy One Get One Half Off promotion plus an additional 15% off of that. Look at all that extra money you can keep in your pocket and use to buy other back to school supplies, or if you're a parent maybe treat yourself to a creamy iced cappucino on the first day back to school. Discounts and coupons have inevetiably made back to school shopping a lot easier and a lot more affordable too. Simply click on the link and print your coupon today! BOGO + 15% off Famous Footwear Coupon. Coupons can be used both in store and online from 8/2/12 -8/18/12. I figured I'd throw this out there onto social media, you never know what type of response I might get from it... could be a good one, right? As some of my followers know I was laid off over three years ago by a very large trucking company because after they went on a hiring frenzy they then realized their two companies into one public merge caused them to lost half their customers right after. I was low man on the totem pole, so of course I was laid off from their local terminal. I have found it very difficult since to secure solid full time employment in this area. It's not that my resume, experience, and education are not impressive it's who I used to work for that is causing the problems (not a well liked bad reputation company) I have a car payment, horses, credit cards, and cell phone bills to pay for. (I'm starting to lose my place in the water and seem to be slowly sinking) I can't very much pay for them when blogging isn't bringing in the money to pay them so I also have to look for a full time job. Starting tomorrow 8/7 Oregon Chai Facebook Fans get their chance to win a $5,000 Chai-scape makeover for their backyard. As an extra bonus, 1,000 fans who enter will get a chic Oregon Chai Iced Chai Tumbler. Make sure you check out their Facebook page here and look for the “Chai-scape Your Backyard” tab to learn more details. Prizes: oversized, custom Oregon Chai tea mug, double-walled, acrylic iced chai tea cup and a variety of Oregon Chai Original teas. Plus, one lucky chai-ticipant will win a grand prize Kindle Fire. Make sure you are following @OregonChai and tweet with the #OregonChai tag to participate. With Back To School right on top of us Parents are not just concerned with buying supplies, but also how to keep their children's valuable gadgets safe as well. Every 53 second a laptop is stolen, that fact alone is astonishing to me. Schools now a days almost require that students have some sort of laptop or notebook, but as a parent how do you keep those items safe after spending your hard earned money on them? How do you, as a parent, keep your children's items locked up for a safe school year? GUND is holding a Top Dog Photo Contest and I've entered Zero into it! She is in the category of "Faces Only A Mother Could Love" of course the picture I used was of her apologetic sad face after being caught with her head in the garbage can. I'm calling upon all of my followers and fellow sweepers to please vote for Zero! Voting runs from 8/6 until 8/15. One (1) winner in each category will receive a sample of GUND products of their choice with a retail value of $250. The Grand Prize Winner will have a GUND® plush dog modeled after the winning photo, to be sold at retail sale. The Grand Prize Winner will not receive any royalties and/or proceeds from any sales. The Grand Prize Winner will also receive twenty–four (24) samples of their plush dog. No cash or other substitution may be made, except by the Sponsor, who reserves the right to substitute a prize with another prize of equal or greater value if the prize is not available for any reason as determined by the Sponsor in its sole discretion. Each Category Winner and The Grand Prize Winner is responsible for any taxes and fees associated with receipt or use of a prize. Prizes are not transferable. My tips and tricks are to put the search query in quotes, otherwise you will get every single alert with a single word in it. I have alerts set up for "twitter parties", "text to win" and my name. Why my name you ask, because some companies do not "tag" you on Facebook sweep wins and give you a specific time frame to email them with your information. I've had this happen twice and lost out on one very big win because the company didn't know how to send a Facebook message and didn't tag me in their announcement, yes it made me upset.. but that's why I have an alert set up for my own name. I also use Everything setting along with Once A Day setting and get the summary in my email on a daily basis. Google Alerts are easy to use and make finding sweepstakes and Text to Win contests a cinch!! If you have any questions just leave me a comment and I'll try to answer them all! If you've been following @BlogHerAtHome during the BlogHer'12 conference you were able to connect with fellow bloggers who also weren't in attendance at the conference this year! This was a great opportunity for those of us who were home instead of in NYC. But there was more... BlogHerAtHome also offered giveaways too! Now for Giveaway #3 - You can enter to win a swag bag from the conference and also a pass to BlogHer'13 which will be held in Chicago next year! What an exciting opportunity! You can enter here Entries end on Monday and you can not enter if you attended the conference this year. Good Luck to everyone and here is to seeing and finally meeting some of you in Chicago next year! Disclosure:I am receiving a sweepstakes entry into exchange for this blog post. All opinions are 100% my own. I've always wanted to visit San Antonio to not only see all that the city has to offer, but to also explore my family history. My Mother's side of the family is from Texas including a Great Grandfather five generations back being one of the founding Father's of the Replublic of Texas. Yes, I even have family that at one point in history guarded the Alamo. I could never make the dollars work when it came to wanting to go down there for a vacation and see all the area has to offer, until recently. SAVE – San Antonio Vacation Experienceis a program where you can get exclusive deals and discounts to make any vacation experience in San Antonio a budget friendly one. SAVE has teamed up with top hotels, resorts, and attractions in the San Antonio area to offer visitors the best experience they could enjoy, while also keeping their vacation within their budget. SAVE also has Limited Time Offers of hotel packages at some of the most prominent and top resorts in the San Antonio area. You can visit and stay in style while keeping money in your wallet that can be spent on attractions the area has. Some of the top attractions in the San Antonio area include Sea World, Six Flags Fiesta Texas, San Antonio Botanical Gardens, and the ever famous the Alamo! After reading through the SAVE site there were certain attractions and resorts that caught my eye and I began to plan an itinerary of what I'd most like to do while vacationing in San Antonio. Of course I wouldn't just be down there for vacationing, but as I said to explore my family's history and it's involvement in the Alamo, so my stay wouldn't be complete without a hotel deal at Comfort Suites Alamo/Riverwalk. Using the SAVE Program I can visit all these wonderful and beautiful attractions, enjoy the city and all it has to offer, and explore my family history all while staying within my budget. You can also follow SAVE on Twitter at @SAVEinSA to learn of more discounts and deals on your San Antonio Experience. If you have a smart phone you can also download the SAVE app and keep up with the newest and hottest discounts and deals right from your phone! Have you been following all the action going on in NYC at BlogHer'12 through Twitter and Facebook? I know I have and even though I'm still disappointed I was not able to make it I am still happy that I have @BlogHerAtHome to follow and put me there virtually! BlogHerAtHome is now hosting their second giveaway for those of us who were not able to make it to NYC. Simply go here to check out all of the awesome prizes from BlogHer'12 Sponsors and more details on how you can enter to win! Disclosure:I will receive a Sweepstakes Entry in exchange for this post. Coach Color Tag IWG Win a Gift Certificate & Help My Blog Win Too! Coach is celebrating our colorful new Legacy Collection with a new project called ColorTag. Our mission: to spread more than 70 years of Coach color across the internet. To play simply hold your mouse over the box below, if you are an instant winner the screen will show you a Congratulations. If you are not a winner it will ask you to share the page (PLEASE share this on every social media outlet you can) Simply just refresh the post and play again! YES you can play UNLIMITED amounts of times trying to win a Coach Gift Card. **This is also a blogger contest** the blogger with the most shares of their Coach ColorTag will win a $2500 Gift Card. The more shares the higher up the ranks I go! I need all your support and of course you can win prizes from Coach as well! So get to hoovering and refreshing - Help me win so you can win too! You can scroll down and hoover over every color! We are allowed to have more than one ColorTag so take advantage of them all and try to win!! Disclaimer: By posting this post I am being entered into a contest to win a gift card. If you LOVE finding good deals I have a local Deal Guy for you! My Local NBC Affiliate is WGRZ in Buffalo, NY and their Matt Granite posts the best deals on a daily basis. Today Matt posted 9 Deals for the 9 Gold Medals that the USA Olympic Team has won! To see Matt's Ways2Save you can go here or follow him on Twitter @MattGranite or even follow along on his blog Matt Granite You don't have to live in my area to take advantage of the awesome Deals Matt finds, because mostly ALL of the deals are National! Make sure you check out Ways2Save page daily to find the very best deals out there. If you are looking for a particular item just tweet Matt and he will do his best to try and find a deal on that product for you. Below are some of the Deals he found today! Get Delivery Alerts UPS My Choice - Sign up for Free! I just absolutely LOVE UPS My Choice! As a sweeper I recommend it to all my fellow sweeper friends! Never miss out on a delivery again. Alerts delivered straight to your inbox or even to any text enabled phone! Become a Member Get delivery that fits your life! Get alerts before packages arrive, Electronically authorize packages for drop-of, re-route to other locations and many other options. Must enter Valid name, username, password, and address. Show your puppy love! Get Purina's FREE eBook today! Have you recently gotten a puppy? Or maybe you are planning on finally getting that family dog you've been promising your children. Don't miss this opportunity from Purina. Show your puppy love! Get Purina's FREE Puppy Care eBook today! When it comes to doing laundry don't you wish there was a faster easier way to get it done? I know I dread laundry day and sometimes put it off as long as I can. I dread it no long thanks to Frigidaire - Meet the Frigidaire Affinity® front loading washer(pictured above) whose sole purpose is to make your laundry day easier, quicker, and cleaner. Allowing you to spend more time doing other activities with your friends and family. Frigidaire is celebrating all of this extra time to do the things you love with the release of their "Adventures In Clean" app, donations to Save the Children Fund, and a contest to win your very own Frigidaire Affinity® washer and dryer.